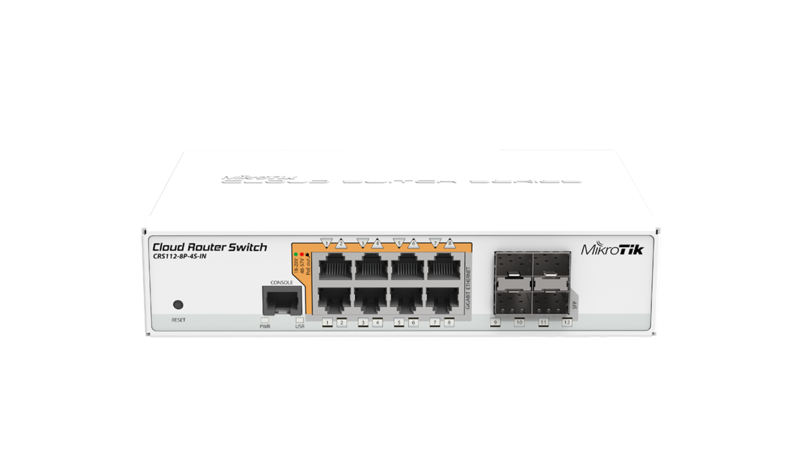 Home :: Mikrotik Switches :: Mikrotik Cloud Router Switch CRS112-8P-4S - PoE out switch, 8 PoE out Gigbit Ethernet ports with 4 SFP cages in a desktop case - new! Mikrotik Cloud Router Switch CRS112-8P-4S - PoE out switch, 8 PoE out Gigbit Ethernet ports with 4 SFP cages in a desktop case - new! 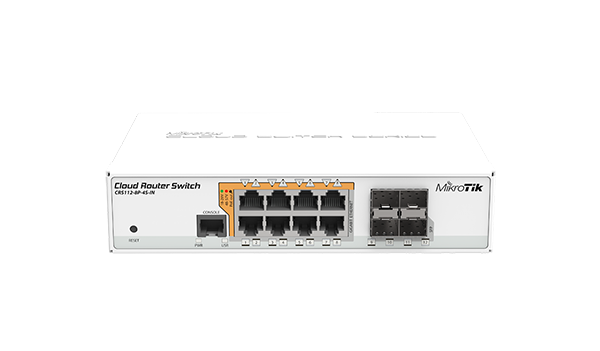 Mikrotik CRS112-8P-4S-IN is an eight Gigabit RJ45 port PoE switch, that offers different power output options: autosensing 802.3af/at PoE/PoE+ and Passive PoE, along with four SFP ports that provide optical fiber connectivity options to support uplinks of up to 1 Gbps. CRS112-8P-4S-IN is equipped with 12 independent switching ports. A 28 V 3.4 A power supply is already included in the box. There is secondary DC jack on the back of the enclosure that supports a 48-57 V power supply (can be purchased separately). 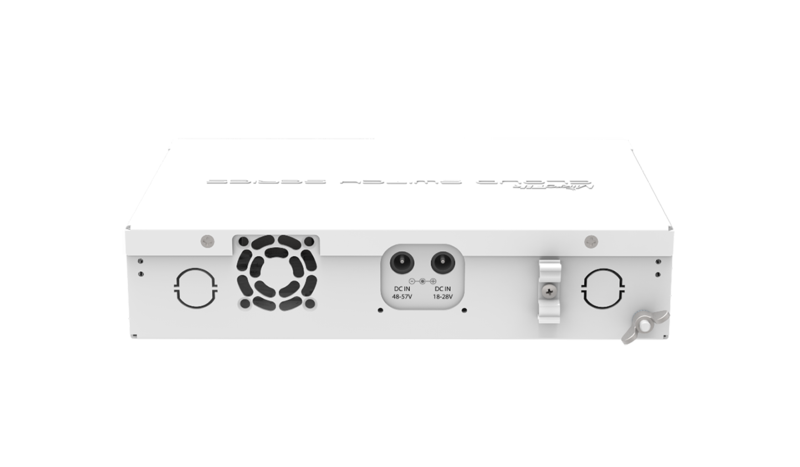 CRS series devices combine the best features of a fully functional router and a Layer 3 switch, is powered by the familiar RouterOS.